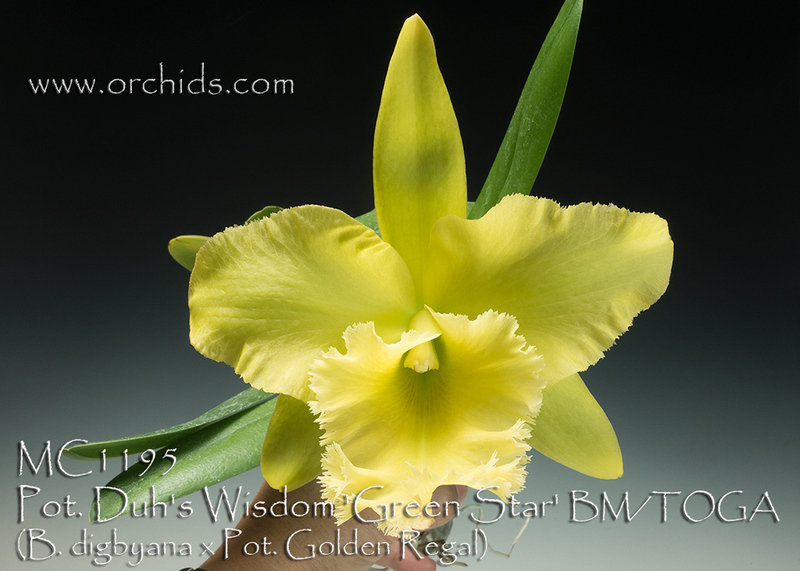 One of the best of modern B. digbyana hybrids bred by the famed Duh’s Orchid Nursery in Taiwan ! 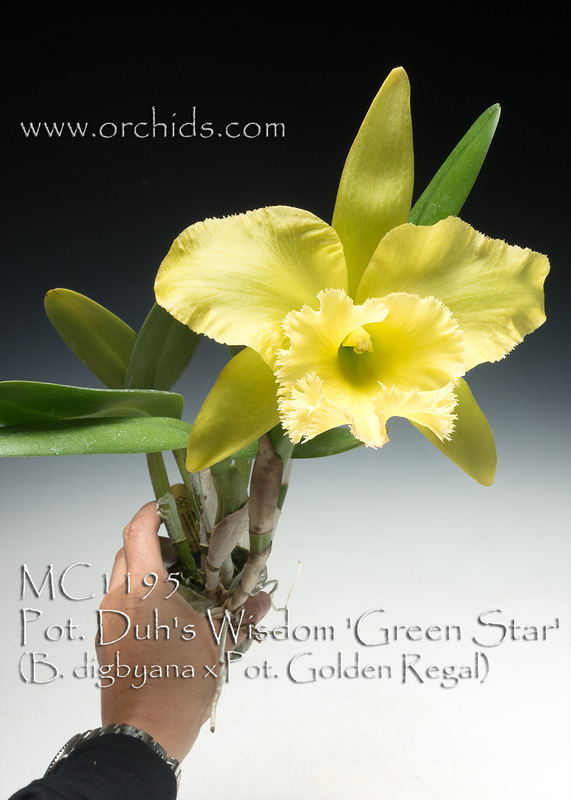 Huge 17.5cm yellow-green fragrant flowers are crowned with a bold fimbriate lip, touched with an apple green throat. Long-lasting heavy substance flowers with a matte texture and delightful fragrance. Highly Recommended !